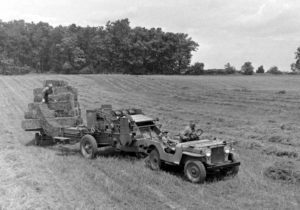 Since we started displaying the above picture at antique machinery shows , we have heard more stories about making hay with the Jeep than any other farm use. A common story teller is someone (man and woman), who like the little boy in the passenger seat, rode along with a dad or uncle. There are also stories of young farm boys driving Jeeps to help with the hay making process. 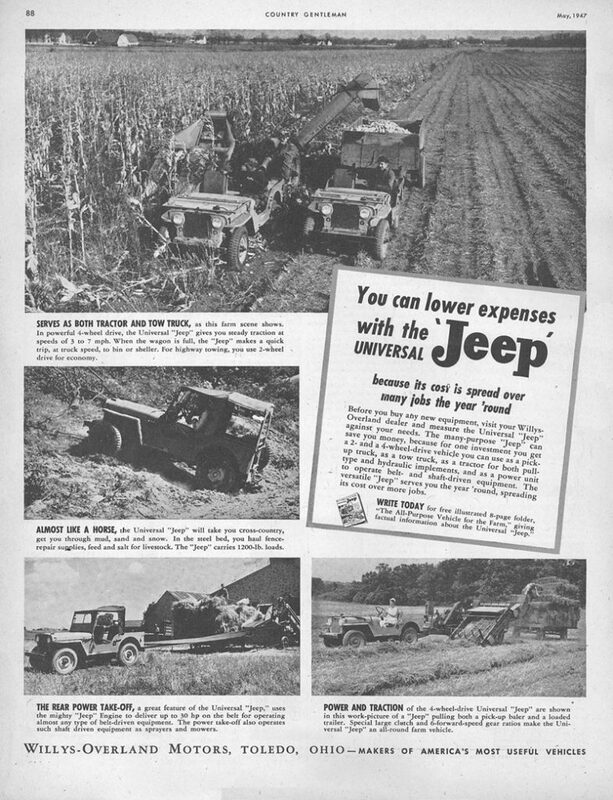 Finally we have learned that Farm Jeeps were central to custom baling operations as late as the end of the 1960s. We will post some of those stories here. Our own hay making experience had taught us to use the Jeep for raking and leave the baling to a heavy tractor. We had even heard horror stories of light-weight Jeeps being pushed through fences while trying to stop with a baler attached to the PTO. The general conscious has been that the Jeep was too light and under powered to be an effective tool. So it was a great surprise that after we placed a poster-sized version of the above picture on our Jeep at shows that it was a great “hook” for getting visitors to stop and talk. Remembering that we are at farm shows, it was not unusual that the first questions were about the baler and not about the Jeep. We had found the picture on the Web and have no information about it. So after the first show at which we displayed the picture, we went on a quest to identify the baler. Barry visits a few tractor forums when he isn’t searching for Jeep parts. He sent a note to the AgTalk machinery forum and almost immediately received an answer; the baler is a New Holland Model 76. It is unusual in that it is a left-hand pick-up. From the May 1947 Country Gentleman magazine, showing a New Holland Model 76 baler. It is possible that the picture we show and the picture in the ad may have been made about the same time. 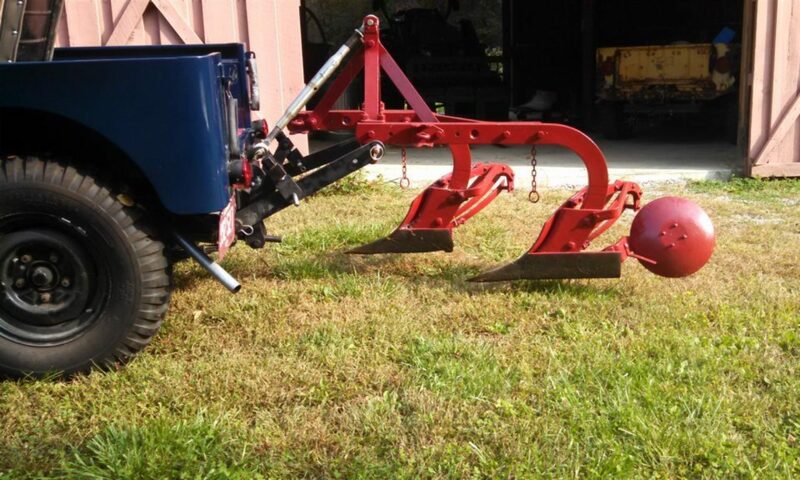 In any case, the baler with an auxiliary engine made an excellent haying tool. We have heard both men and women with a similar story. And in all cases they told the stories with fond memories.